By nature, weddings are unforgettable events. Yet there are just some parts of a wedding that stand out against others: invitation, venue, decoration, DJ… the list goes on! However, the couple’s first dance is arguably the most important. The first dance is a special moment for the bride and groom since it is part of their first few hours being a married couple! 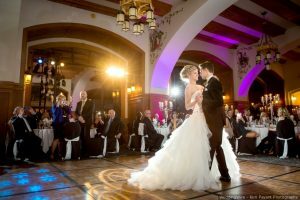 Before you schedule your first dance lessons at Lake Shore Dance Academy, take a look at these trends that will make your wedding one to remember! 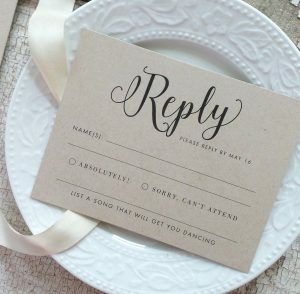 One way to wow your guests is by providing the opportunity for them to make song requests on their invitation! Not only will this stand out to your guests, but it also helps the bride cross another thing off of her never-ending to do list! As couples create a wedding that captures their personalities, their venues and receptions follow in suit. Today, it is more common for weddings to be held in unexpected locations: a museum, bocce ball and bowling court, and the zoo. Think about the shared history and interests between you and your loved one. Did you meet at a fine arts camp? Why not host your wedding at a theater? 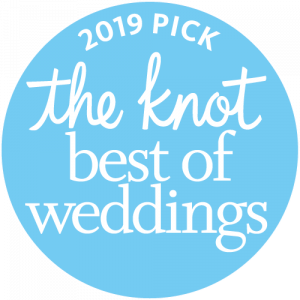 Still unsure, check out TheKnot’s list of unique venues for more inspiration! Destination weddings are a wedding trend that has come to stay. A fun and eco-friendly way to jazz up your wedding and reception even further is to use the resources around you. Check out how this couple incorporated leaves into their special day! How are you going to make your grand entrance? 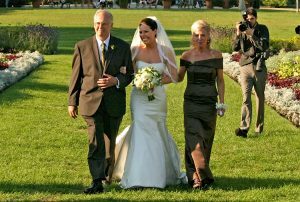 Traditionally, we see the bride being walked down the aisle by her father. Yet some brides enter the ceremony alone and then meet their parents halfway down the aisle, where they walk the reset of that path together. Some brides make their entrance with the groom, and add an unexpected twist! 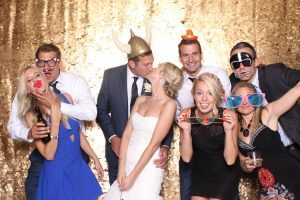 Remember, it to be true to you and your significant other’s wedding vision since it is your wedding. 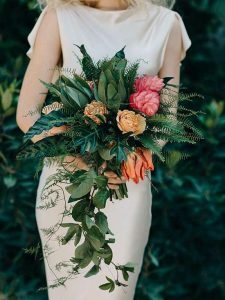 In 2019, we will see many oversized and free-flowing bouquets that look like they were just plucked from the garden are perfect for relaxed affairs. We will also see bold colors in the bouquets, which beautifully compliments various wedding aesthetics! 6. Having a band and a DJ. Previously choosing music for your wedding led to headache since you needed to choose a band. Today, you can have both! The DJ can play today’s hits and then the live guitarist or saxophonist can add even more energy to the dance floor! sweetheart table. 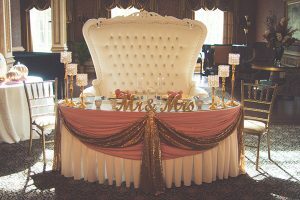 The sweetheart table gives you and your new spouse some alone time at the reception. However, it can create a sense of separation between the newly wedded and the guests, and your guests will probably not be terribly keen of. An easy solution for this sour problem is to simply add a few chairs at your sweetheart table; this will send a clear message of “Please stop by and chat!” to your guests. 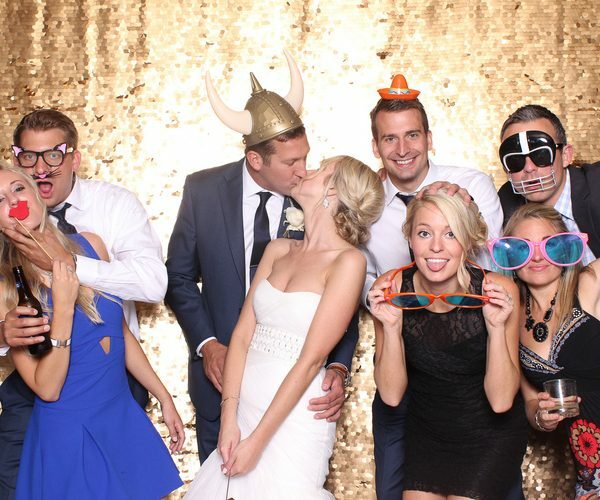 Including a photo booth add an extra flare that your family and friends will absolutely love! Plus, the photos are a great idea for a wedding favor! Last but not least, scheduling your first dance classes at Lake Shore Dance Academy will help create your unforgettable dream wedding! I have worked with many engaged couples who have been thrilled to learn how to dance for their wedding. From the weddings I have attended, where the bride and groom have a choreographed first dance, their dance routine is the hot talking topic. You cannot get any more memorable than that! Schedule your first dance classes at Lake Shore Dance Academy, today!